Casumo had another huge progressive jackpot winner last week. A lucky player from Sweden was bored and created an account at Casumo. He started playing and with €9,- left decides to give Mega Fortune a try. A good decision, because a couple of spins in he hit the jackpot wheel bonus and landed on the big one. €2.971.469,79! Because he never played at an online casino before, he called a friend to ask what happened, his friend screamed, you win the jackpot! Having a bit of a hard financial time lately, the money will really change this. The first thing he will do is buy a bigger house and spend money on his family. Casumo is a great online casino with regular bonuses and free spins offers. And unique challenges from time to time with amazing rewards. You can play games from NetEnt, Microgaming, Play’n Go, Quickspin, Williams Interactive and even Novomatic at Casumo. And they have a good sign up bonus. Also, they payout winnings fast, only takes a couple of hours max. 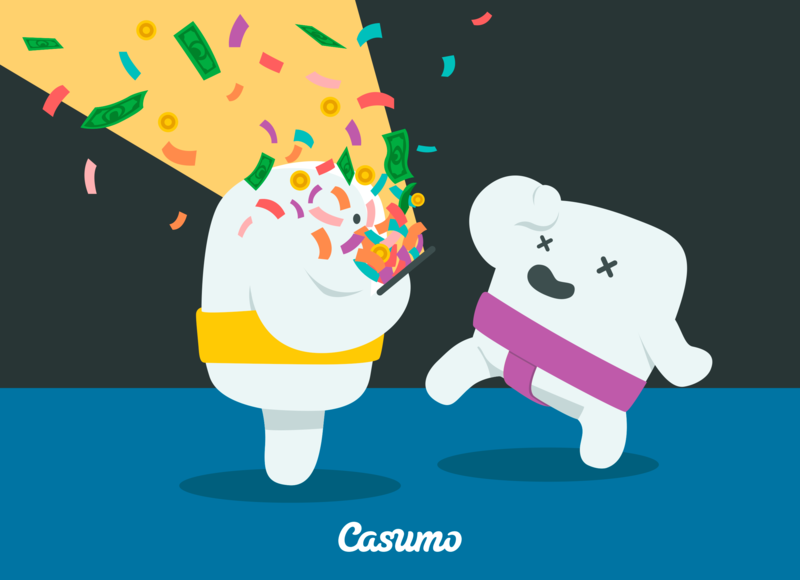 Join Casumo now and maybe you are the next huge winner!